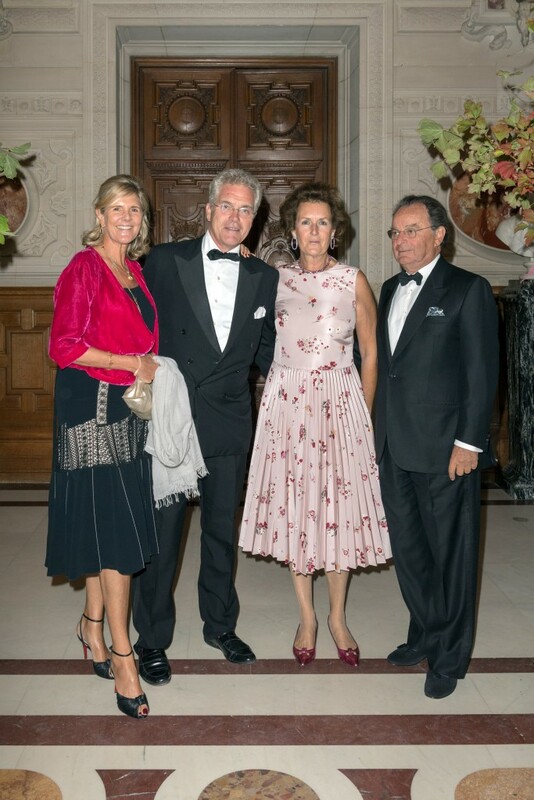 On Tuesday, September 12, 2017, the Friends of the Domaine de Chantilly (FODC) welcomed 230 guests to the Château de Chantilly for its first gala event. 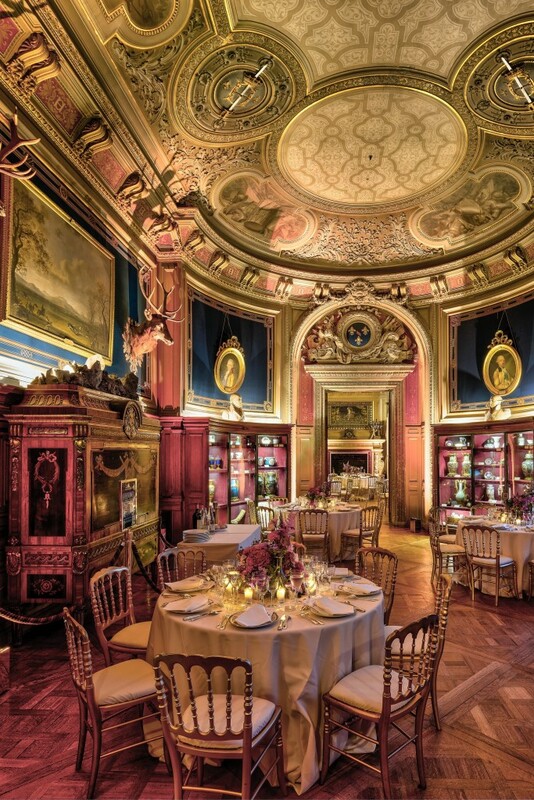 This historic estate, located just north of Paris, had been the residence of the Princes de Condé, cousins to the French royal family, and the venue for their legendary lifestyle throughout the 17th and 18th centuries. 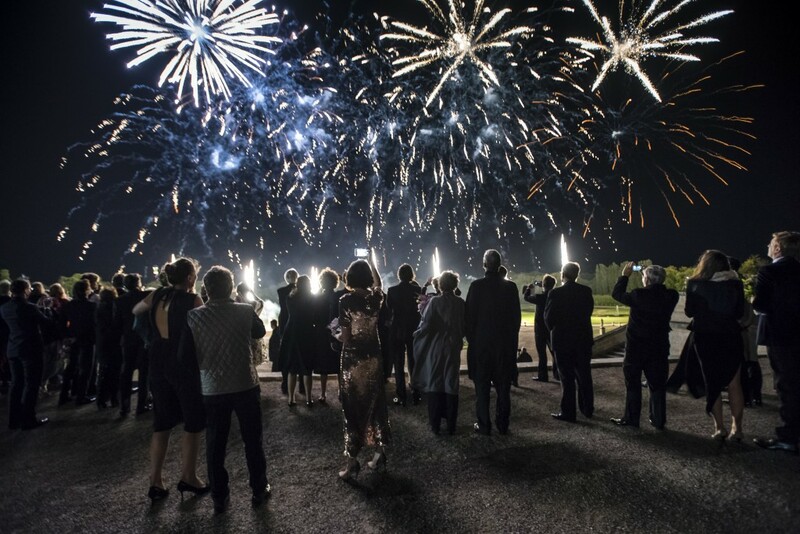 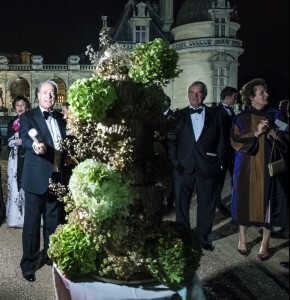 For one unforgettable evening, Chantilly was once again the setting for exquisite festivities. 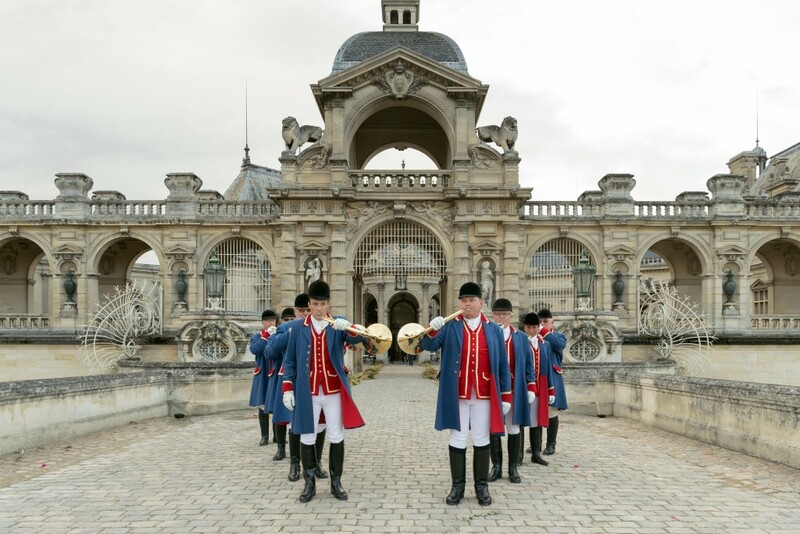 As dusk fell, guests began to arrive at the castle and were welcomed by a fanfare from traditional French hunting horns. 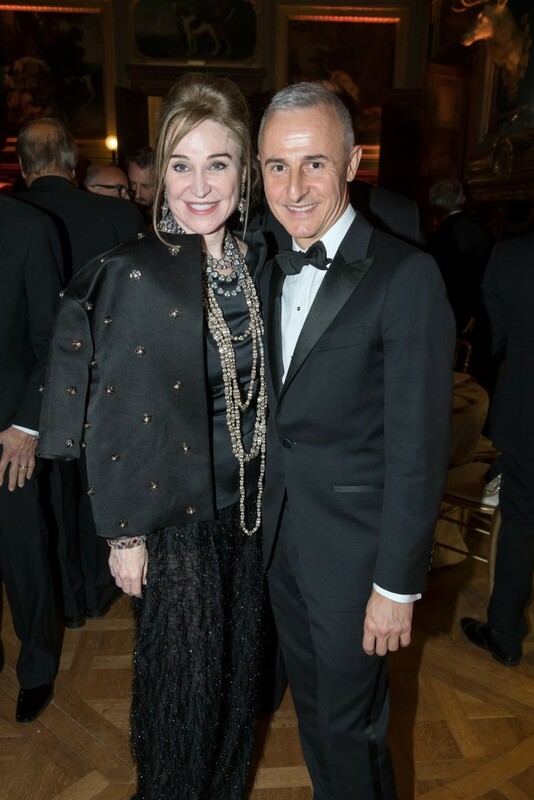 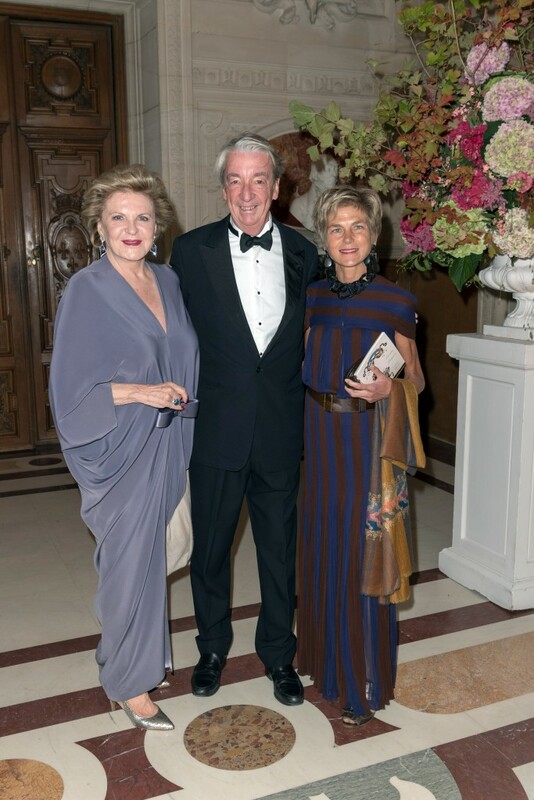 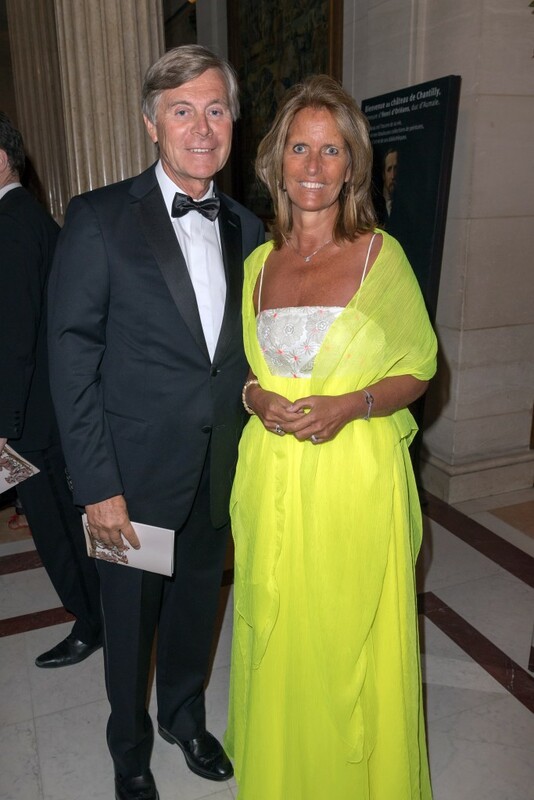 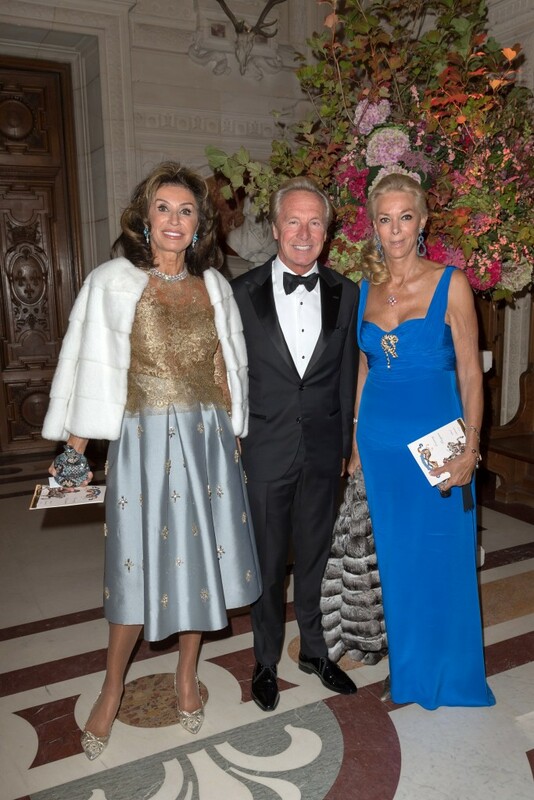 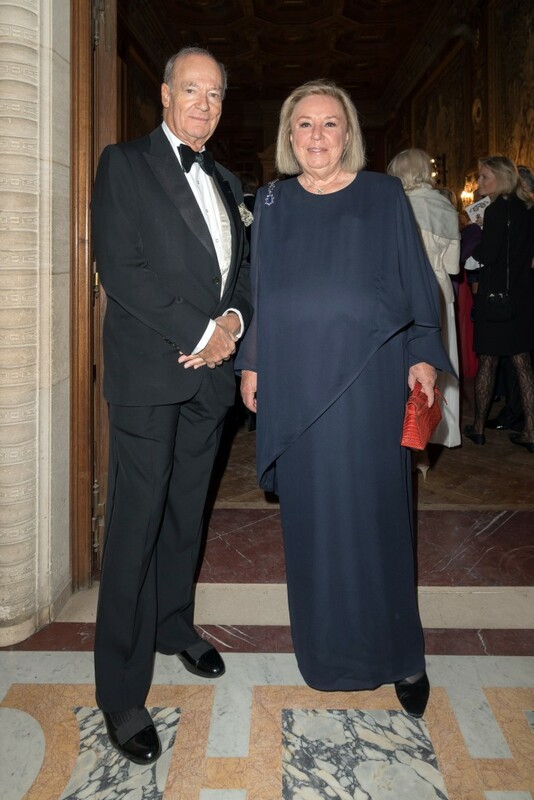 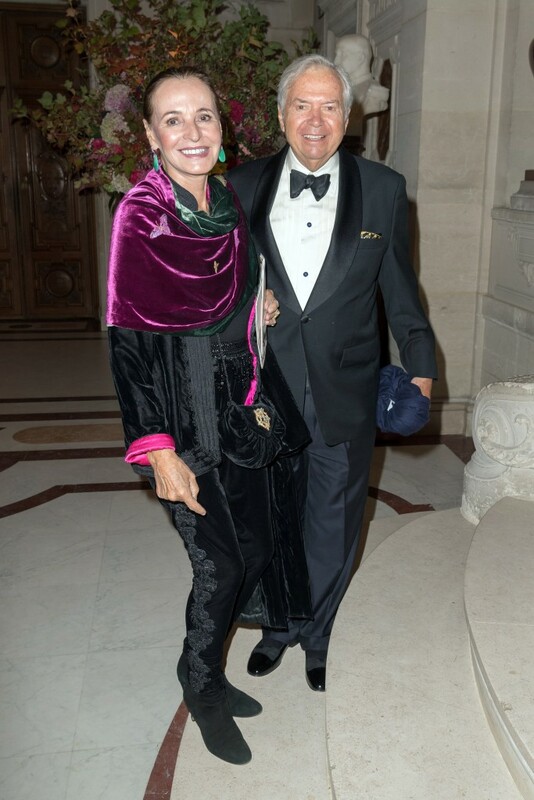 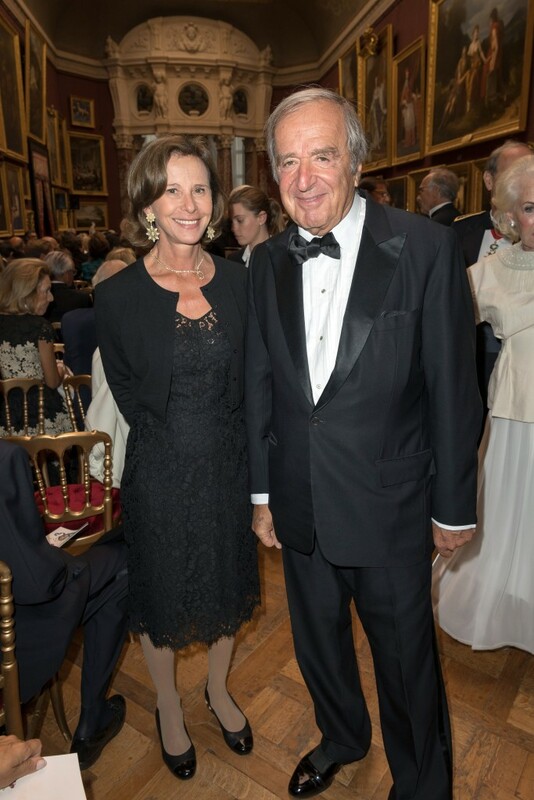 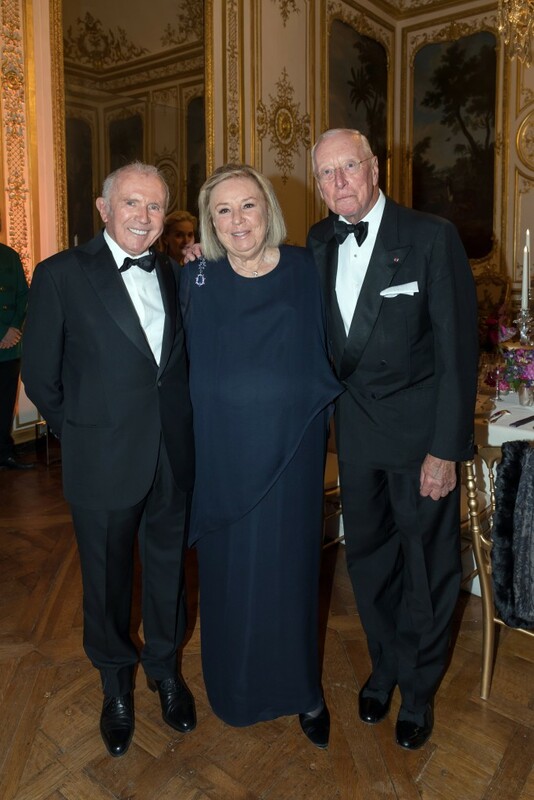 Inside, they were greeted by Prince Amyn Aga Khan, Chairman of FODC, who has spearheaded the organization since its beginning, and by Maryvonne Pinault, Board member and Gala Chair, whose impeccable taste ensured that the evening would be memorable and of exceptional beauty. 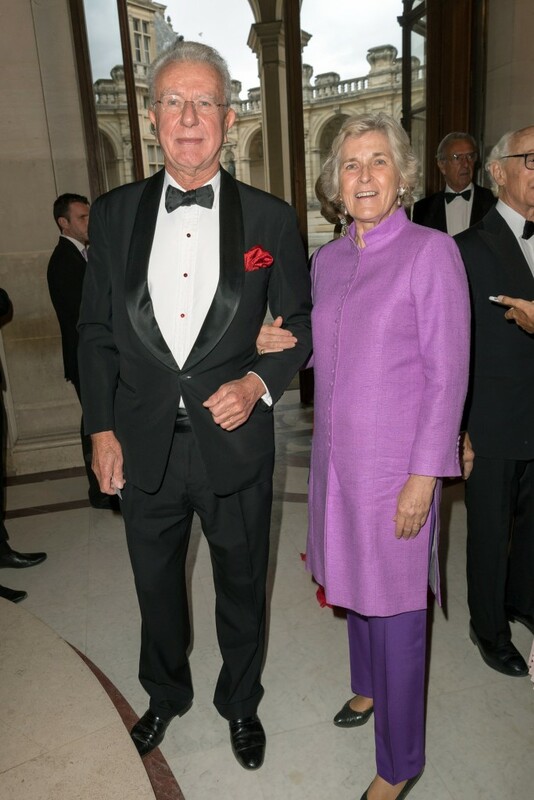 Other Board members were also of course present. 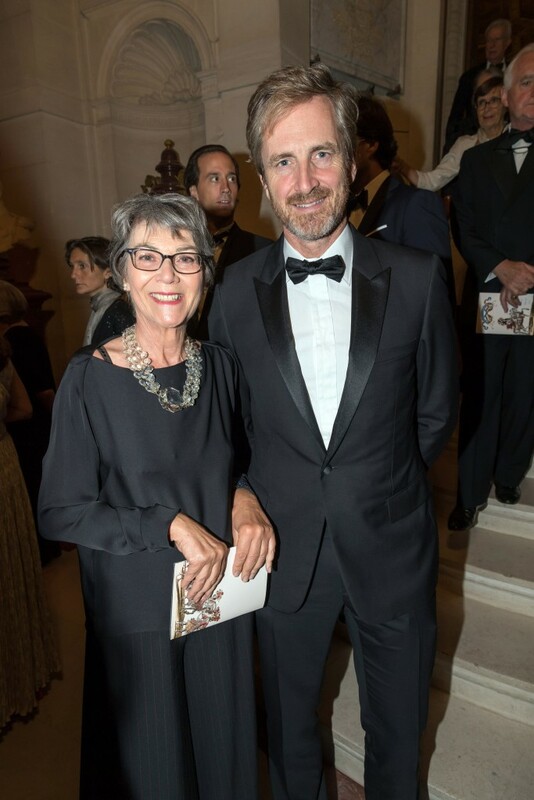 Nathalie Brunel, Betty Eveillard, Alice Goldet, Pierre Guénant, Christian Langlois-Meurinne, and Henri Loyrette could be found warmly welcoming friends and family and spreading their excitement for the evening’s program to follow. 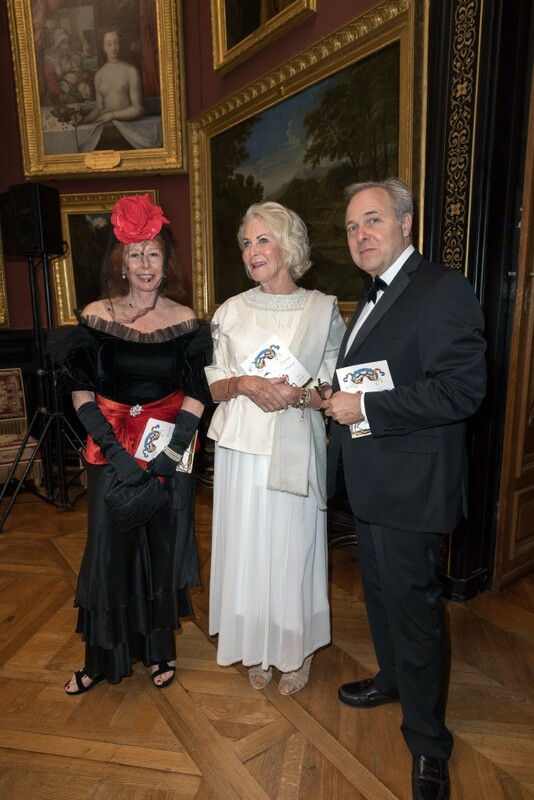 The event was also graciously supported by Annette de la Renta, Board member and Honorary Chair, and by a prestigious and international Honorary Committee composed of Count and Countess Edouard de Boisgelin, Mr. and Mrs. Bertrand Chardon, Count and Countess Charles-André Colonna Walewski, Christopher Forbes, Mr. and Mrs. Eric Freymond, Laure de Gramont, Frédéric and Teodora Jousset, Sheikh Bechara and Mrs. el Khoury, Mrs. Jean-François Méjanès, Mrs. William A. Nitze, Mr. and Mrs. William Rayner, Ambassador and Mrs. Craig Stapleton, and Mr. and Mrs. Serge Weinberg. 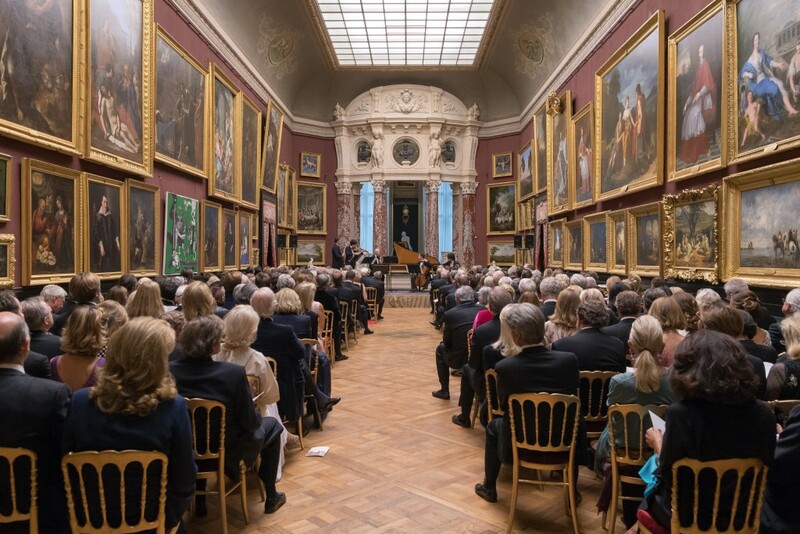 The formal program kicked off with a private concert by Les Arts Florissants in Chantilly’s famed Gallery of Paintings. 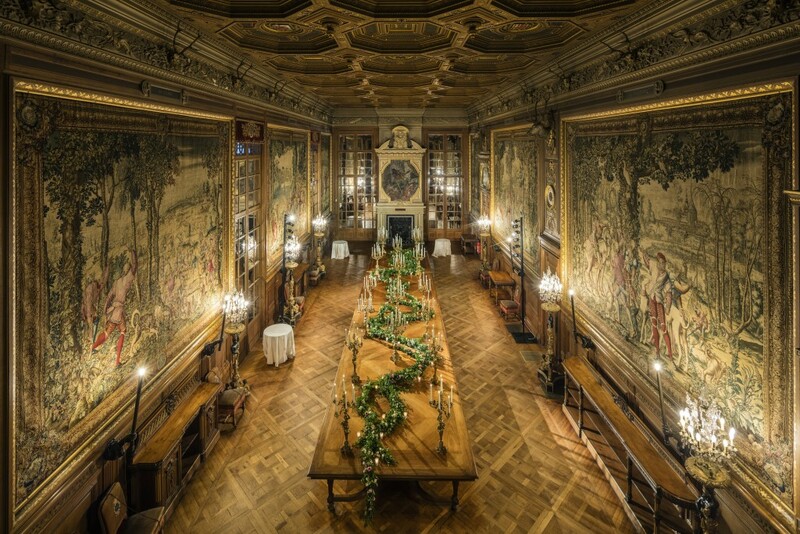 The recently restored room is lined from floor to ceiling with masterpieces of French and Italian works amassed by Henri d’Orléans, Duke d’Aumale and son of the last King of France, who had installed his fabulous art collection – recognized as the best in France after the Louvre for Old Master paintings and drawings – at Chantilly at the end of the 19th century. 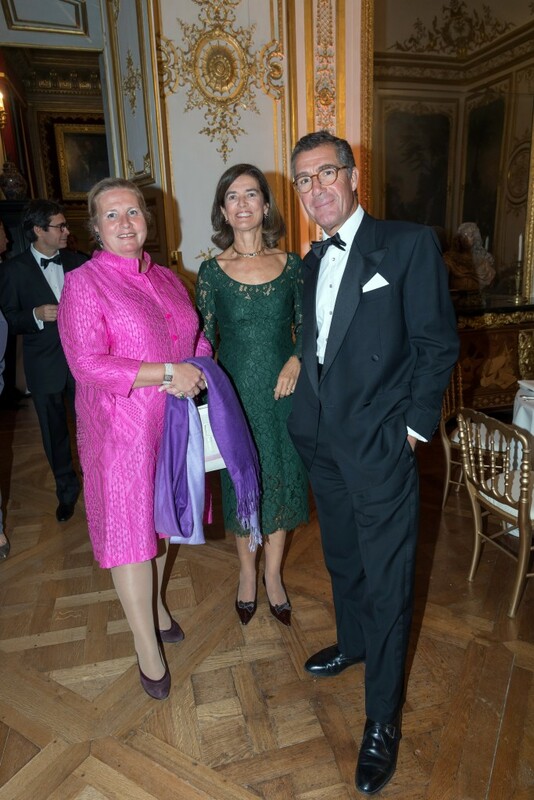 As guests took their seats, they could therefore admire paintings by Carracci, Veronese, Poussin, and other treasures. 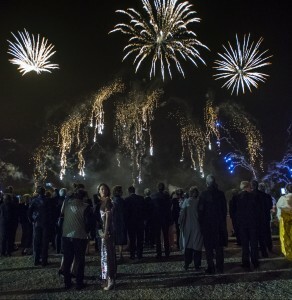 A unique experience! 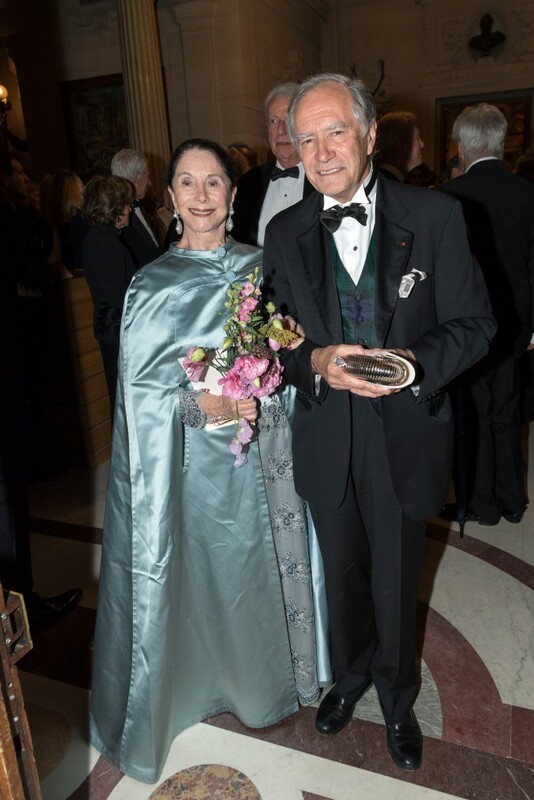 Prior to the performance, Prince Amyn Aga Khan took the stage to speak about FODC and its efforts to preserve the incredible artistic, architectural, and historic legacy at Chantilly. 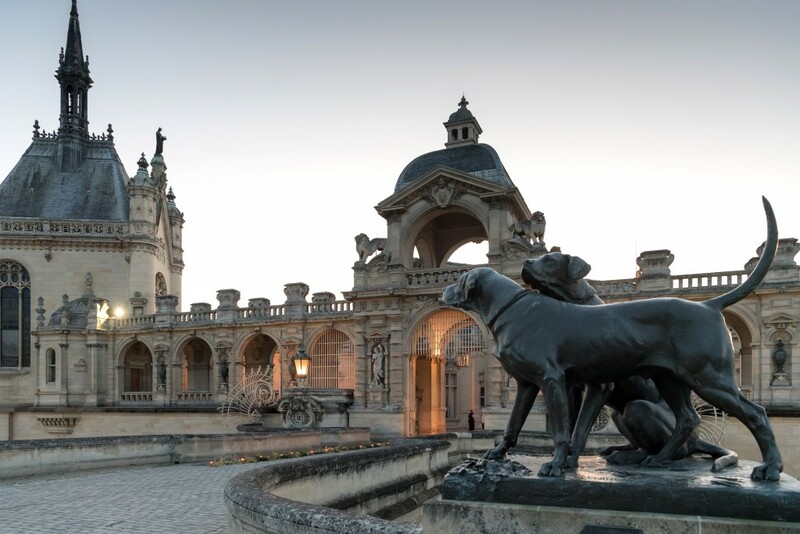 Indeed, Chantilly also boasts one of the greatest examples of 18th-century architecture in the Great Stables, as well as André Le Nôtre’s favorite landscape design, and the Hamlet considered so beautiful that Queen Marie-Antoinette copied it for Versailles. 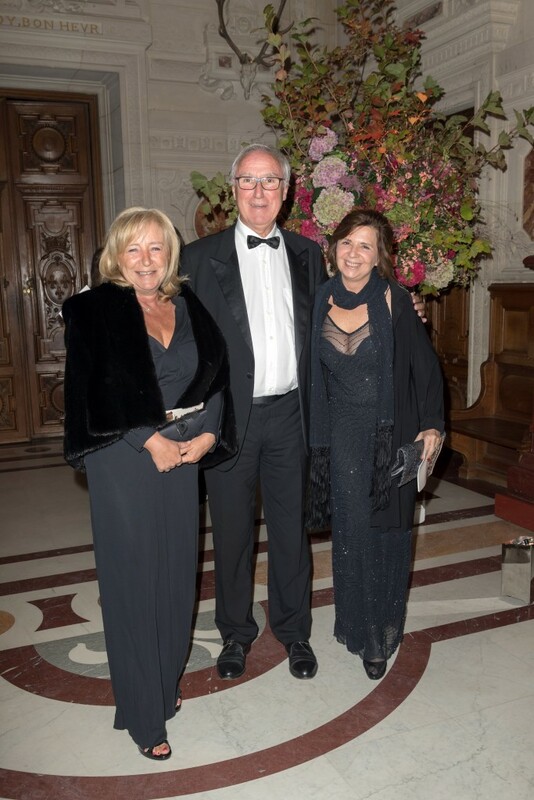 Maryvonne Pinault then addressed guests to thank everyone for their overwhelming support of this event. 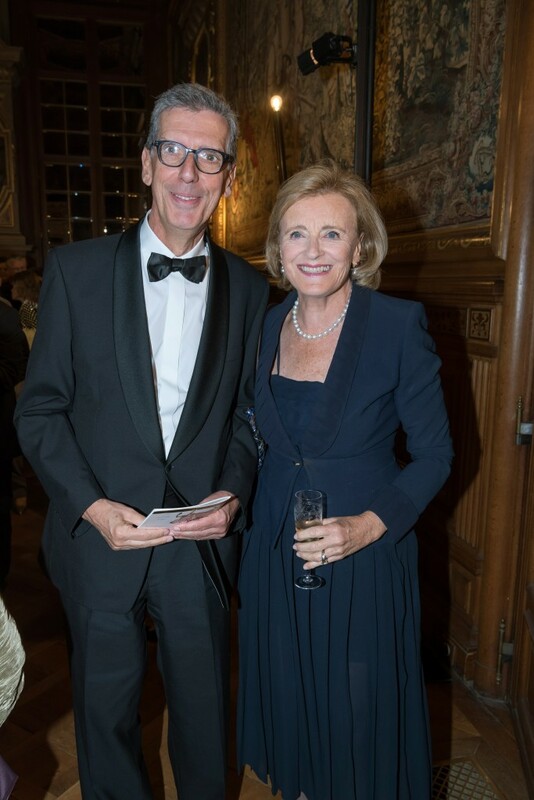 As an expert on French furniture, she was particularly delighted that the evening’s proceeds will help restore stunning objects and furnishings in the Château. 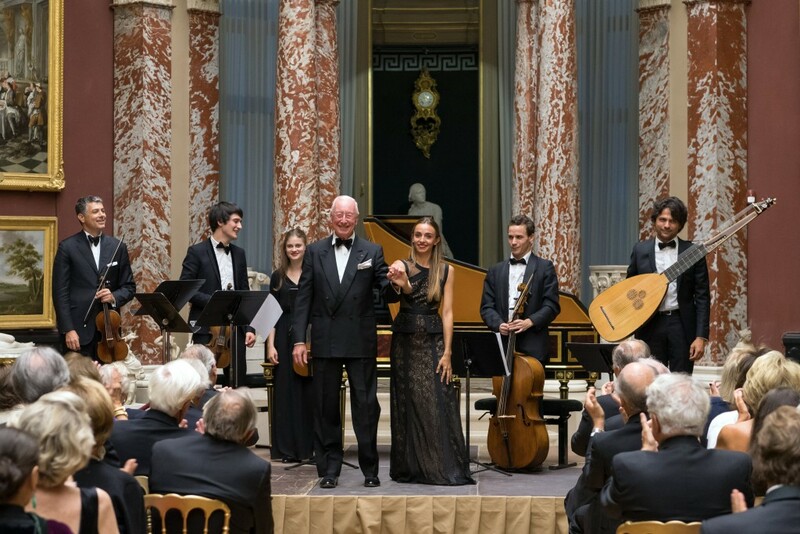 After these remarks, the famous ensemble Les Arts Florissants, founded by William Christie, offered a special performance of baroque music including works by Handel, Charpentier, and Vivaldi with William Christie himself among the musicians. 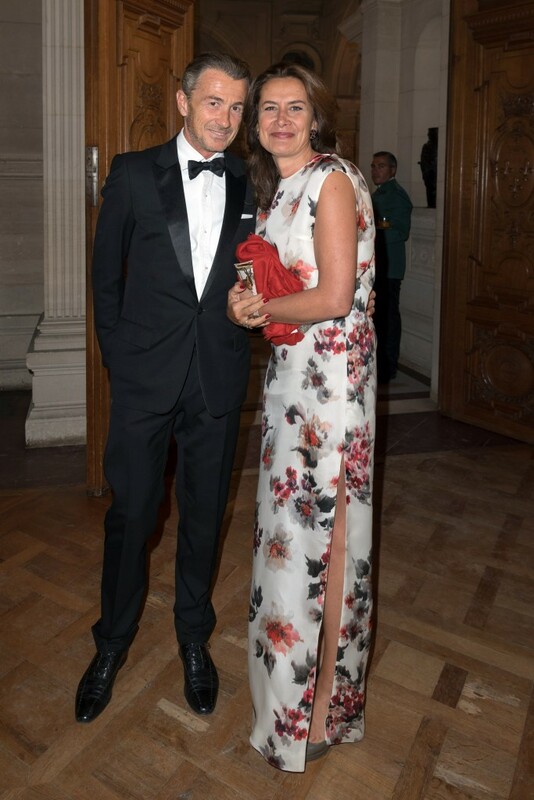 And the talented soloist Lea Desandre enchanted everyone with her wonderful voice. 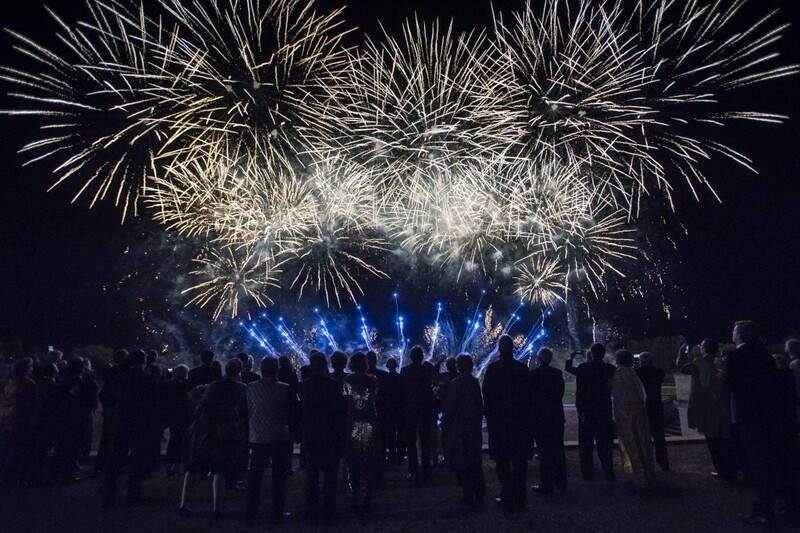 An encore was a must! 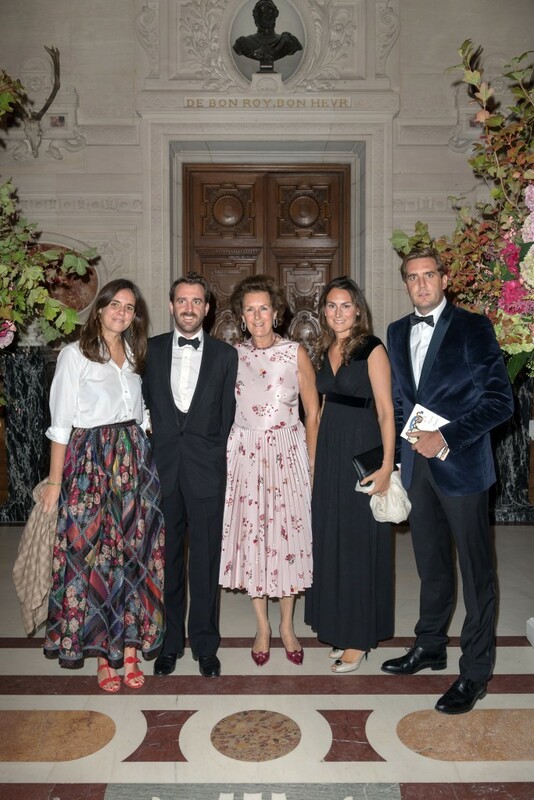 Guests reconvened in the Stag Gallery after the concert with a glass of Laurent-Perrier’s signature champagne “La Cuvée” served from Magnum bottles. 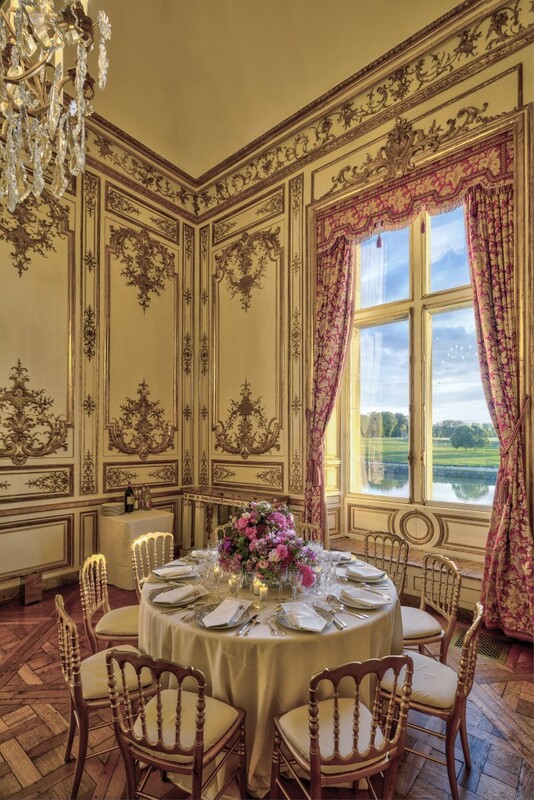 The large space, which used to be the Château’s formal dining room where the Duke d’Aumale entertained the intellectual and artistic elite of his time, was specially decorated for the occasion with rarely seen candelabras from Chantilly’s collection. 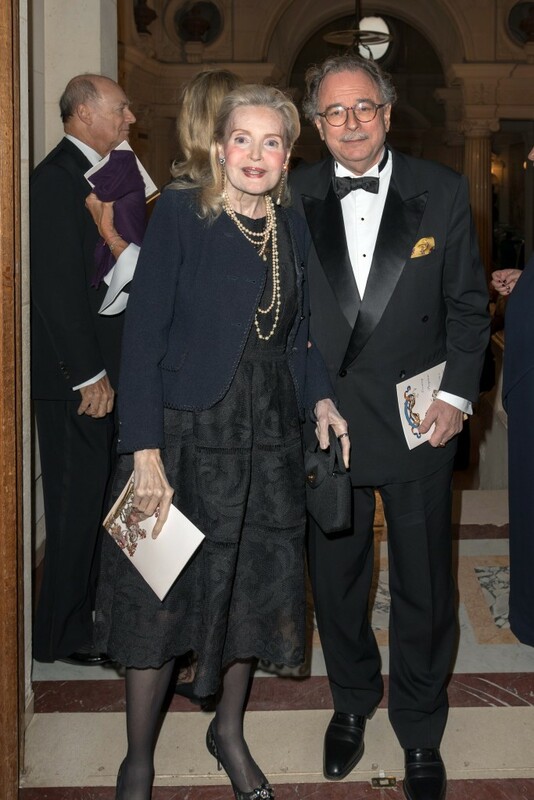 Among those enjoying the pre-dinner reception were many FODC donors and Chantilly enthusiasts including Hervé and Marina Aaron, Neville and Alexandra Cook, Ariane Dandois and Ondine de Rothschild, Gilles and Caroline de Navacelle, Duchess Sophie de Wurttemberg, Alexis Gregory, Susan Gutfreund, Dr. Susan E. Kendall, François and Carole Rochas, Jonkeer and Mrs. Rijnhard van Tets, and Prince Cyril Wolkonsky. 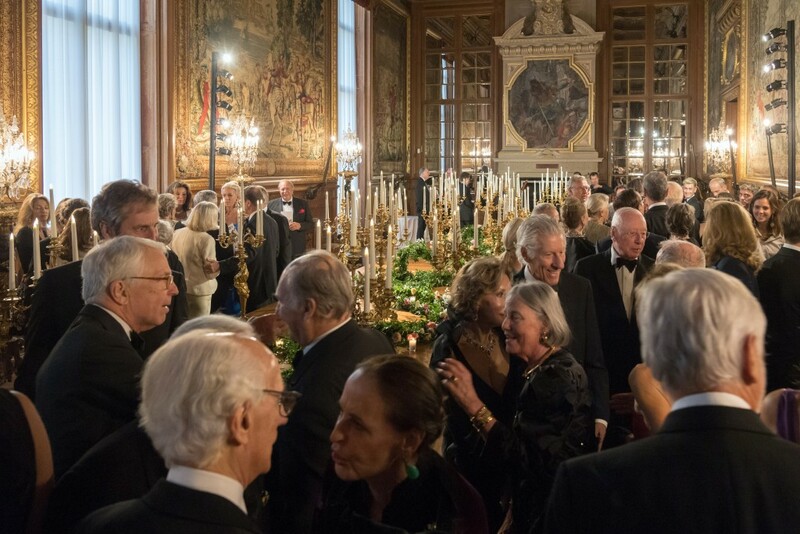 As the clock struck nine o’clock, guests were invited to enter the Grands Appartements (Grand Reception Rooms) where, for the first time, a private dinner was held. 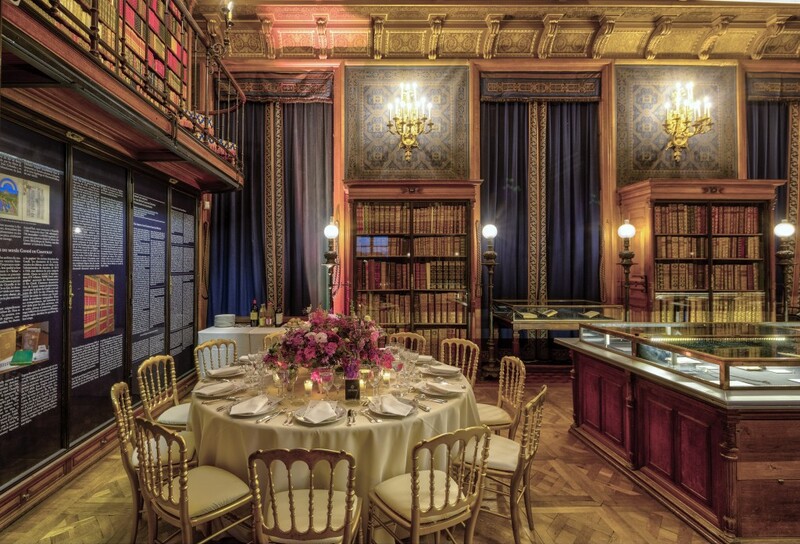 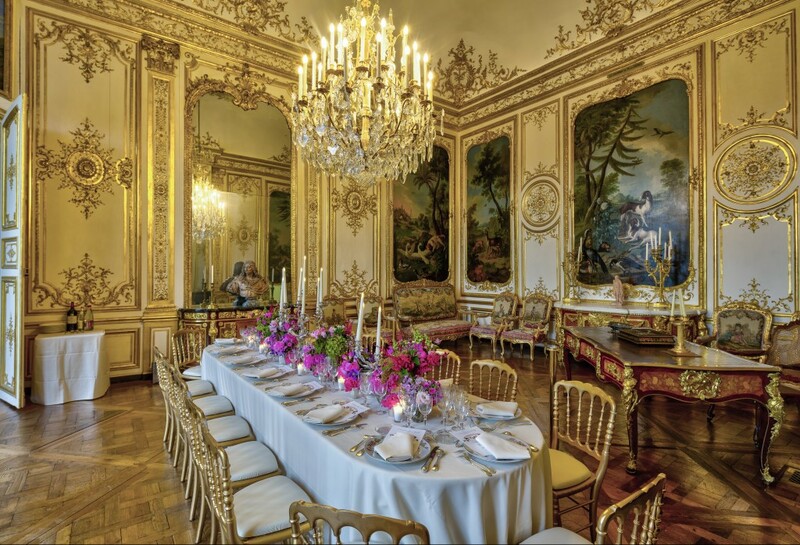 Exceptionally, guests could dine surrounded by the gilded wall paneling commissioned by the Princes de Condé, or next to a precious mineral cabinet gifted by the King of Sweden, or by a Riesener commode created for King Louis XVI at Versailles, or even in the Reading Room where 20,000 rare books and manuscripts are now exhibited. 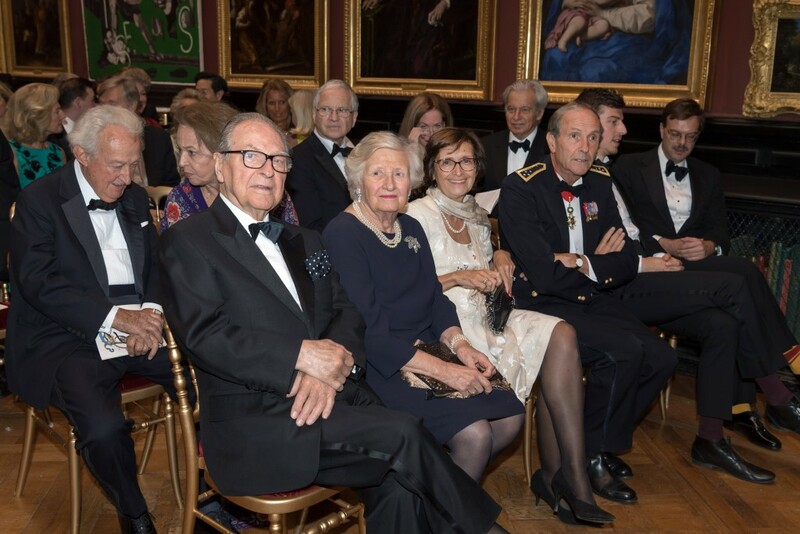 Prior to taking their seats, Alain and Florence Boucheron, Sir Timothy and Lady Clifford, Baroness de Courcel, Charles and Marie de Croisset, Cole Harrell and Tai-Heng Cheng, Magali Jallot, Elbrun Kimmelman, Nicolas Luchsinger, James C. Marlas and Marie Nugent-Head Marlas, Prince and Princess Alexandre Murat, and His Excellency and Mrs. Anton Prohaska marveled at the grand décor. 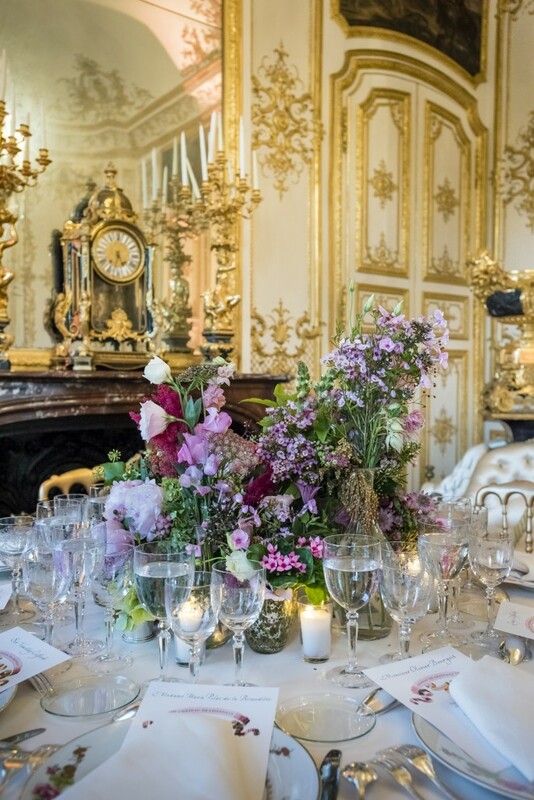 On the tables decorated with exquisite floral centerpieces by Eric Chauvin, silver candelabras by Ercuis, and tableware modeled on Sèvres porcelain provided by Maison Options, guests enjoyed a sumptuous dinner catered by Lenôtre, which included caviar and poultry with black truffles. 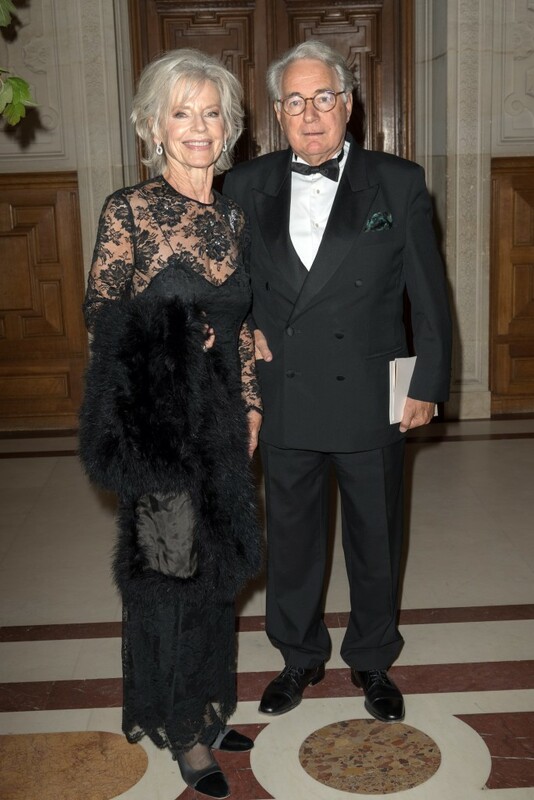 Fine wines from Villa Baulieu and Château Branda were graciously donated by Board member Pierre Guénant and by Guy Benjamin. 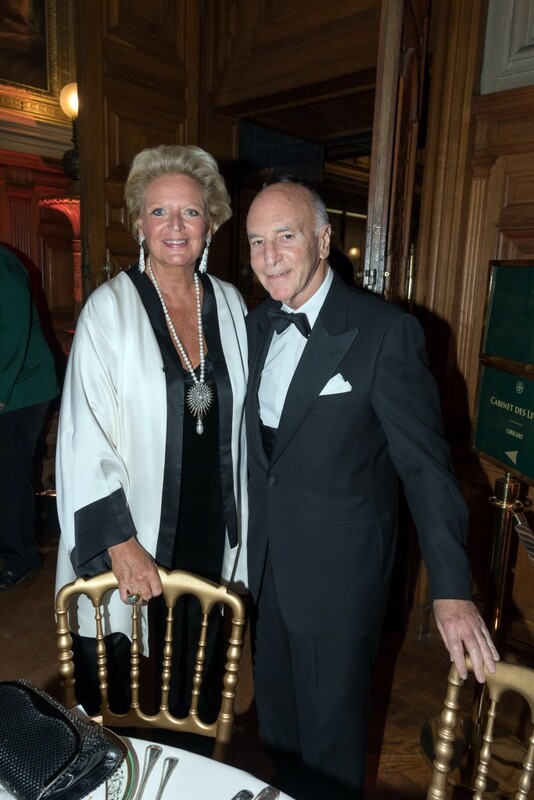 After dinner, a surprise awaited Prince Amyn Aga Khan, who happened to be celebrating his birthday on the same day. 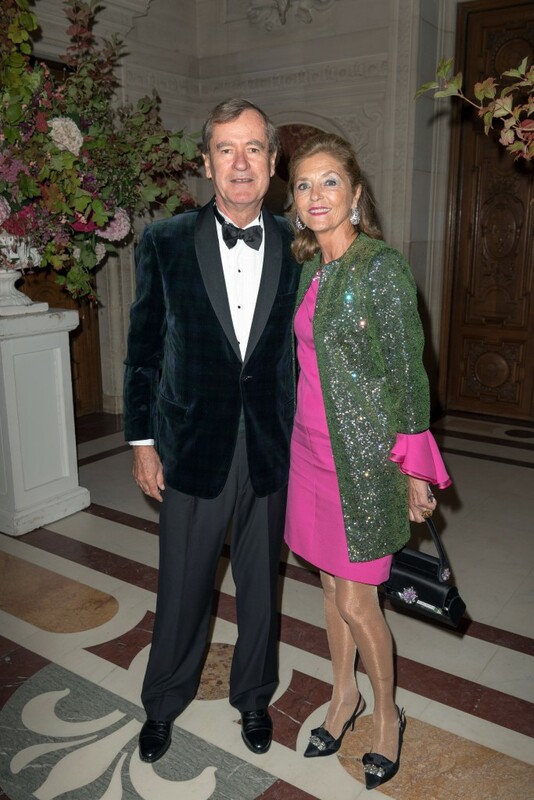 Upon arriving on the castle’s terrace, he was met with a cake in the shape of a tree sprouting hydrangeas (Prince Amyn loves gardens) surrounded by friends singing “Happy Birthday.” Then, just as guests thought the evening had ended, fireworks exploded over Le Nôtre’s French gardens, illuminating the night in gold and silver and concluding a quite extraordinary soirée. 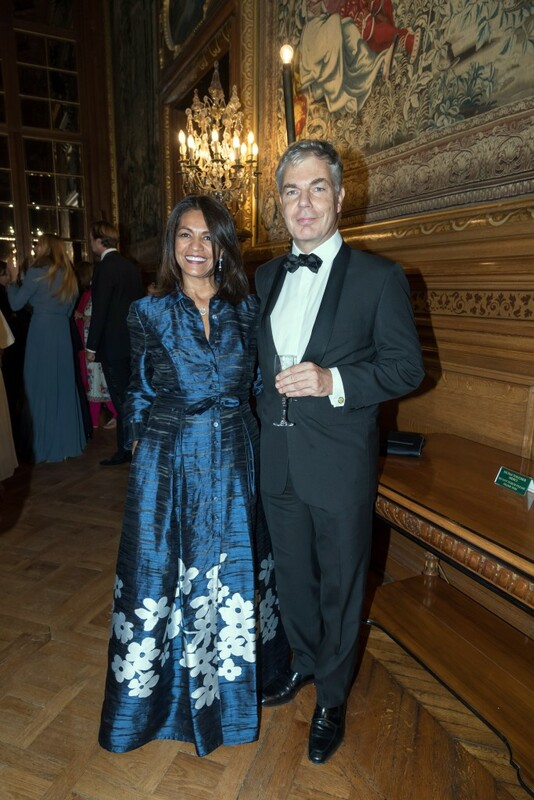 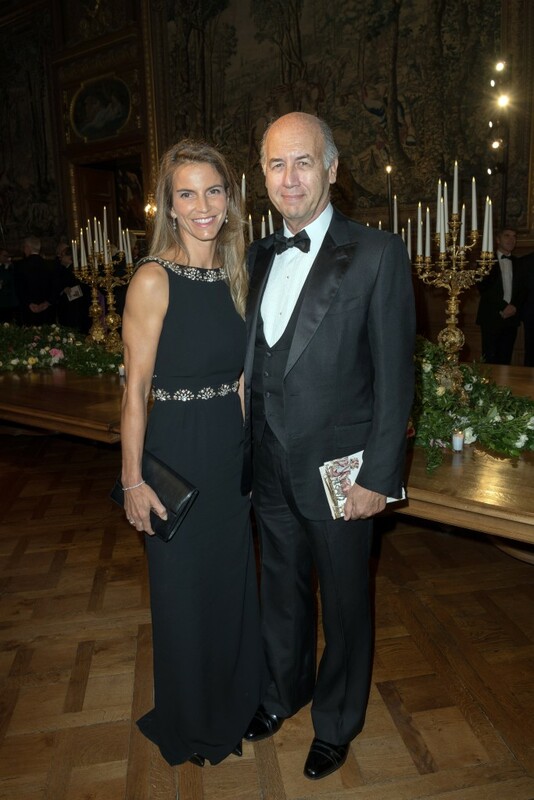 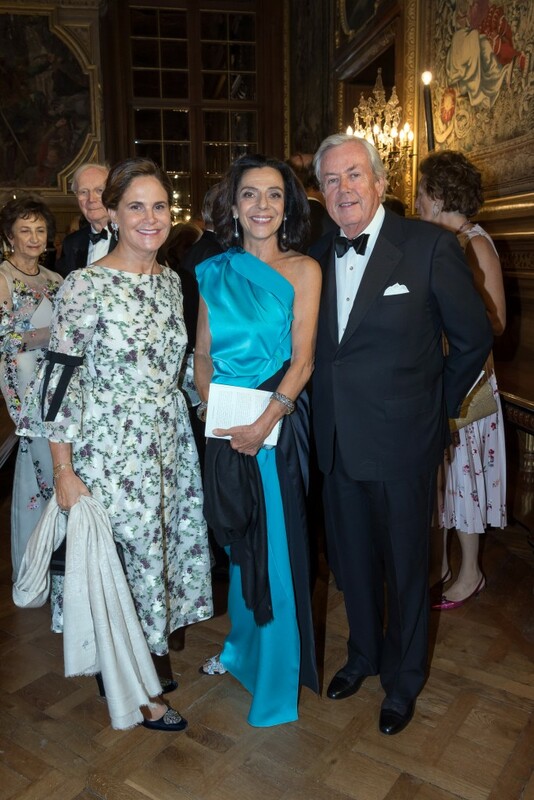 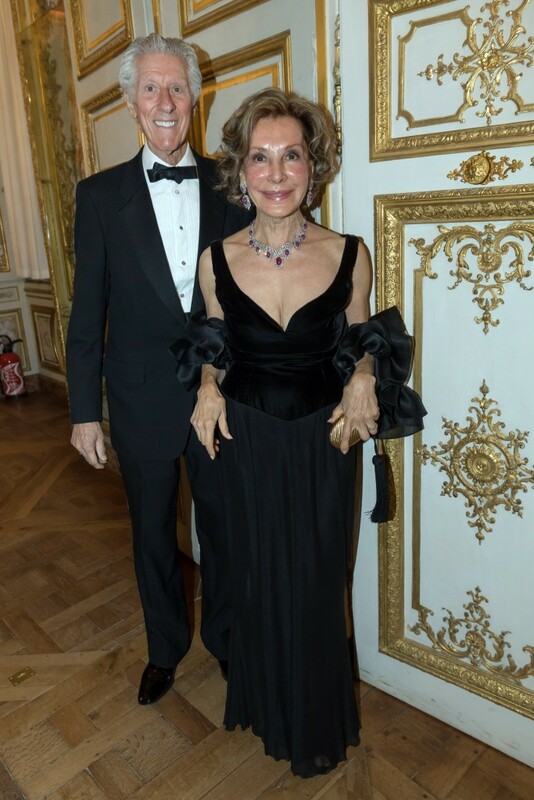 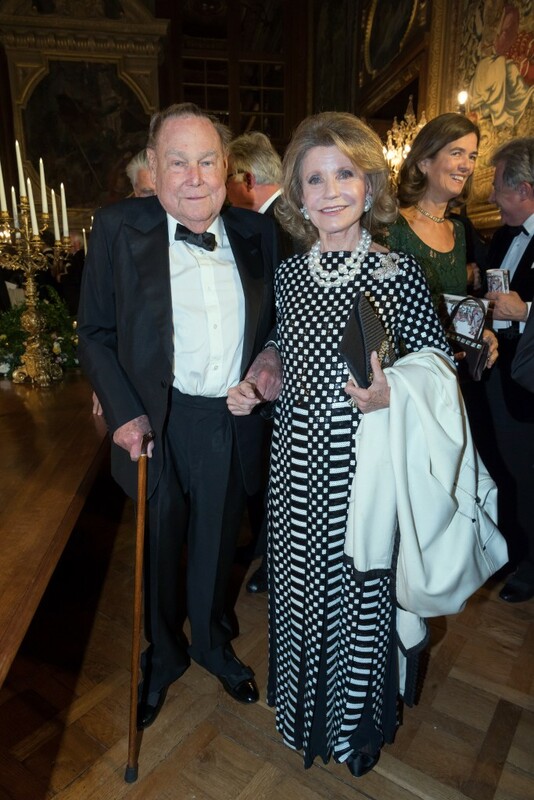 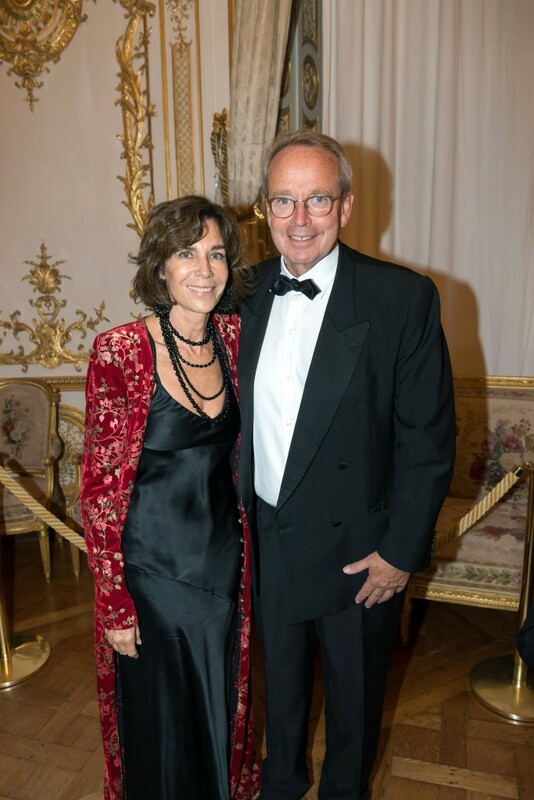 FODC’s inaugural gala not only celebrated Chantilly’s rich heritage but also raised important funds to renovate the private chambers of the Duke and Duchess d’Aumale in the Château. 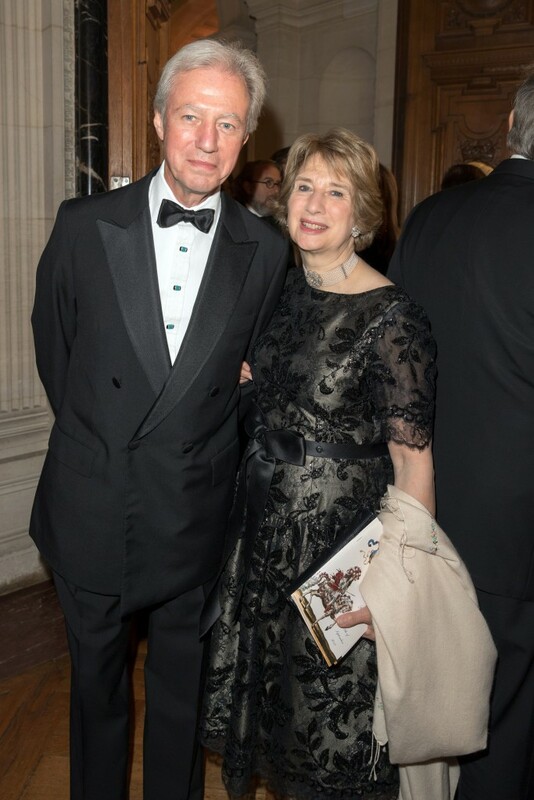 Proceeds will help restore beautiful portraits, furniture, fine textiles, and other artworks that belonged to this remarkable princely family. 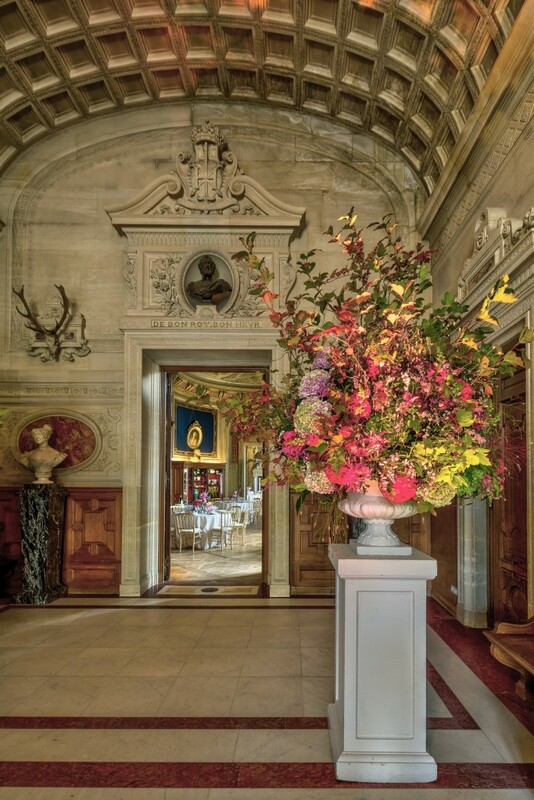 These stunning pieces, currently undergoing restoration, will soon return to their original setting – a décor created by the famous painter Eugène Lami and the only ensemble dating from the reign of King Louis-Philippe that remains entirely intact today. 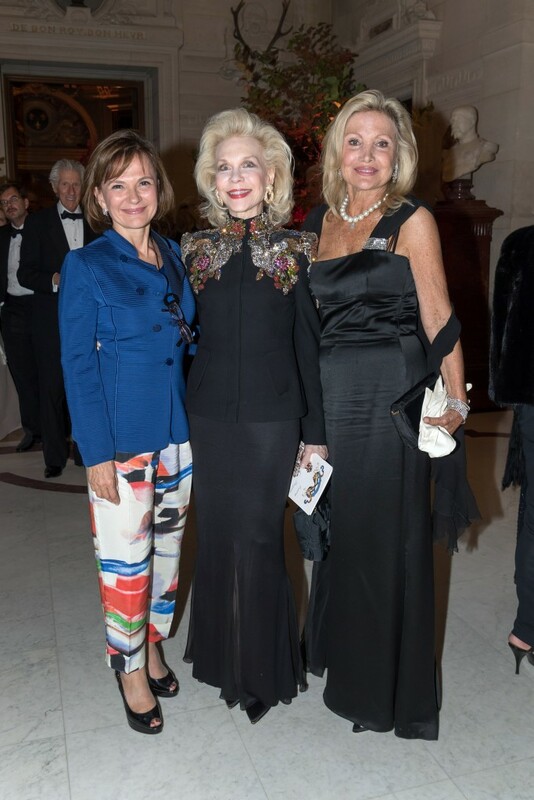 As could be expected, the event was attended by major art collectors, philanthropists, business leaders, and cultural influencers from the United States and Europe. 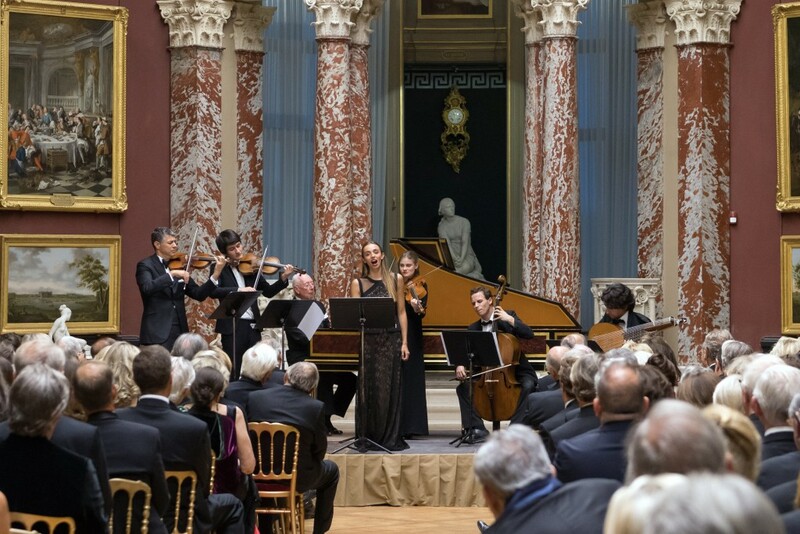 His Highness the Aga Khan (President, Fondation de Chantilly), Prince Gabriel de Broglie (Chancellor, Institut de France), General Jérôme Millet (Institut de France), Chantilly’s curators Nicole Garnier, Laurent Ferri and Mathieu Deldicque, and Charles-Henri Diriart (Executive Director, Fondation de Chantilly) all took part and shared their passion for this unique site. 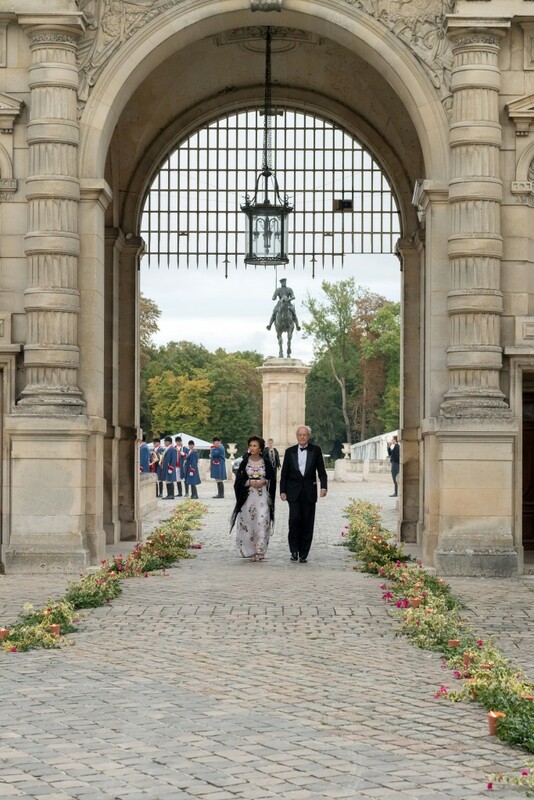 Friends of the Domaine de Chantilly would like to thank all of the guests, partners and sponsors for their wonderful support of this exceptional evening and look forward to welcoming everyone to Chantilly in fall 2018 for the opening of the private suites of the Duke and Duchess d’Aumale.